Ethereum is a recently launched cryptocurrency platform (only two years old) that is quite literally giving Bitcoin a run for it’s money. If you’re looking to find ethereum explained in simple terms, you’re in the right place. Built on Ethereum Blockchain Technology, it enables a decentralised network of computers to exchange cryptocoins while recording and maintaining the entire history of the transaction. This ensures a cost effective, highly reliable environment that has no single point of failure. The founder of Ethereum ,Vitalik Buterin, developed the blockchain technology to enable functionality that Bitcoin does not offer such as crowdfunding and smart-contracts, taking the possibilities of cryptocurrency into new realms in the commercial world. Although the core function of Ethereum is the exchange of cryptocoins, known as Ether, the bigger potential value lies in the smart-contract technology and its possible application across a variety of industries. Smart contacts allow for the same transactions that happen in the real world to take place in an online cloud environment using a decentralised public blockchain, where the terms and conditions of the contract are measured and on execution, the smart contract pays out. The contacts are stored, tracked and executed cryptographically. The attached infographic outlines in a simple format the potential uses of Ethereum. http://decentral.ca/wp-content/uploads/2016/03/infographic.jpg. The range of smart contract applications that people are investigating today is varied and exciting. Ethereum Explained – How does it work? The fundamental principle behind Ethereum is a system that is completely decentralised, creating what has been referred to as a World computer. Instead of a single server holding information, it resides with thousands of volunteers computers or nodes. When the Ethereum program is used, thousand of nodes process the transaction and validate the new state of the contract. This process of validating the transaction is known as mining. The state of the contract is then updated and the terms of the contract executed upon as written by the original developer or creator of the smart contract. More information on how Ethereum works can be found on https://www.youtube.com/watch?v=lVcgl8t9LIQ and https://www.genesis-mining.com/what-is-ethereum. So we know the process of validating the transaction is know as mining, but how does mining work and why would it be viable for people to volunteer? In order for the transaction to be validated, computer resources are required that will calculate the transaction. Miners offer or volunteer their resources to create a block of valid transactions. Miners across the world compete to calculate and validate blocks first and submit their proof that the block is valid, known as proof of work. When a miner is first to validate a new block he earns Ether which holds value as a cryptocurrency. The more resources a miner has, the better chance he has of validating and creating a block and earning the coins. This has led to the creation of ethereum mining pools where miners combine their resources to validate blocks faster. Two of the leading pools are Ethpool and Ethermine, through there are several others that are considered among the best ethereum mining pools. Mining requires dedicated hardware, or rigs, which can be very expensive to purchase and run. An online calculator for miners can be accessed at https://www.cryptocompare.com/mining/calculator/eth?HashingPower=20&HashingUnit=MH%2Fs&PowerConsumption=140&CostPerkWh=0.12. The potential application for Ethereum smart contracts going forward is almost limitless with significant possibilities in particular in the banking and properly markets when management of contracts is labour intensive, slow and vulnerable to human error. Smart Contracts are the transaction tools of the future. Through creating safe, trackable contracts of law that are automatically enforced, smart contracts will change the way many industries interact with their clients and manage their agreements and by using Ethereum blockchain technology, smart contracts are self executing contracts when all the criteria are met. 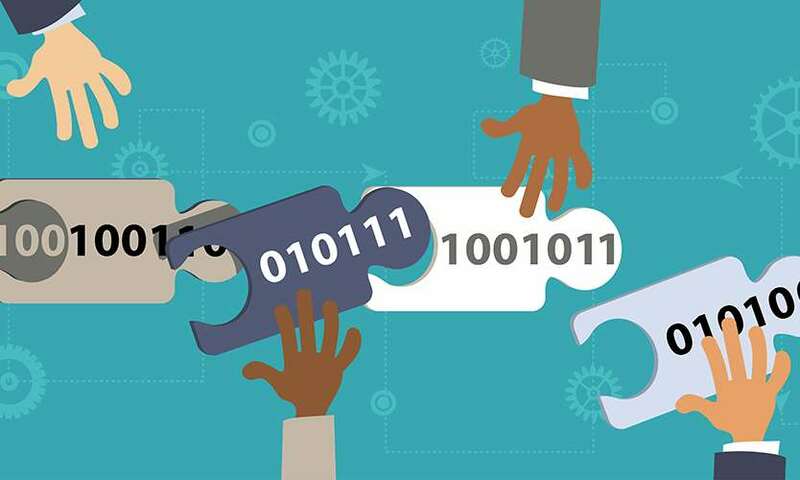 Smart contracts benefits include better security for the safety and confidentiality of the contract, transaction costs are reduced and the redundancy is increased as multiple copies are held across the Internet. Smart contracts are most effective in area’s where the terms of the contract are absolute and measurable, for example in the shipping and freight industry and in the financial industry, where the terms are not subjective but can be calculated and tracked. As a result of this, one of the greatest opportunities for smart contact applications is in the banking industry, where commercial contracts are an inherent part of the nature of the business and the terms of the contract are not subjective. In addition, because Ethereum is decentralized and open source, any developer can use it to create and write smart contracts. In October 2016, Capgemini Consulting released a paper named “Smart Contracts in Financial Services: Getting from Hype to Reality ” which highlighted how Ethereum contracts reduce risk, inefficiency, error and fraud for the banking industry in comparison to the traditional paper based contracts. The report foresees most first world banks moving to smart contracts in totality as early as 2020. These require huge amounts of data to be collected, documented and monitored, including property values and large amounts of personal data of all the parties involved. Through access to online information such as title deeds and Land registries, the process can be automated and the turn around time greatly reduced. In addition the monitoring of the activity in terms of the contract can be done automatically reducing the delay of manual interactions and eliminating the chance of error. Capgemini estimated savings of up to $960 per mortgage. Due to the ability of Ethereum smart contracts to calculate and manage huge amounts of data and execute complex calculations, the development of smart bonds,where the legal requirements of the bond are coded into the contract, is a given. Knowing your customer: before any interaction with a bank a large amount of information about the customer needs to be collected. With the introduction of smart contracts and blockchain the information of all current clients will be easy to access and update new applications, reducing the frustration of the customer and the costs and time delay for the financial institution. This is another huge processing area for a bank where smart contracts can make a big difference. Currently a consortium of banks is testing the possibility of smart contracts in this arena to understand the possible impact. By using smart contracts the calculations of the trade settlements can be done automatically and show significant savings. Not all the possibilities mentioned here are immediately available for the banks. In most cases, careful thought and planning still needs to be applied before the move to smart contracts in total, but the opportunity for the banks to improve their service, accuracy and bottom line makes involvement in this area inevitable. Smart contracts are digital contracts that can be used in place of all the standard legal contacts such as leases, shares, property sales or anything else required by contracting parties. A smart contract is a self executing contract that behaves exactly according to the manner in which it has been written. They are less expensive that traditional contracts as there is no need to hire a middleman to write the contract and they cannot be lost or ignored as they have been duplicated across the network. Ethereum contracts are secure and un-hackable. 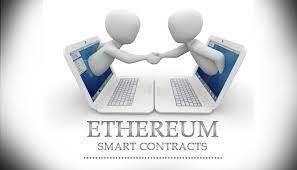 Ethereum was designed specifically for smart contracts and is the most popular platform due to its flexibility. 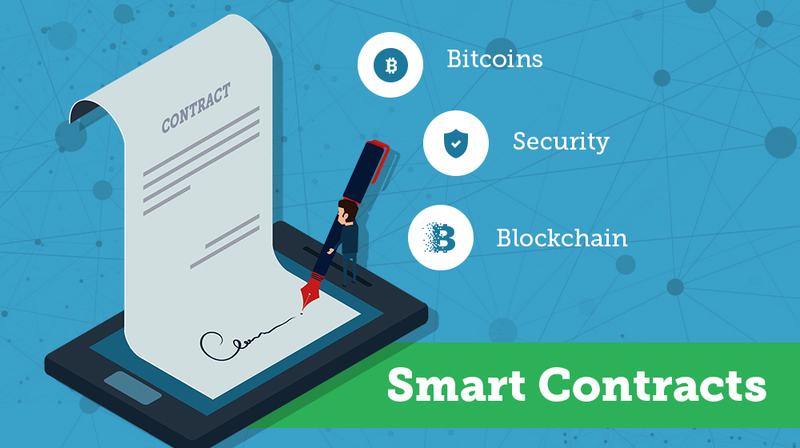 For more information on what smart contracts are and how smart contract blockchains are explained, visit https://www.coindesk.com/information/ethereum-smart-contracts-work/. A challenge with traditional insurance policies is the amount of time needed to process the claim and the intense administration requirements. By converting the insurance policy into a smart contract, once an incident occurs that should begin the claim process, such as a car accident, the contract can be triggered. The pre-agreed limitations and circumstances surrounding the claim would have been written into the contract and the claim can be processed or denied based on the information. Administrative costs are reduced, subjectivity taken out of the decision making process and settlement happens faster. One of the contracts that could be simplified by writing them in Ethereum instead of managing on paper, would be the payment of royalties to artists. With the multitude of songs available, tracking and managing who is the valid artist due a royalty payment is complex and susceptible to error. Should all these contracts be recorded digitally and available for view to multiple parties, tracking the rightful owner and initialising the royalty payment would faster and more efficient and as changes cannot be made to the contact without the permission of all the parties involved, the artists are assured of receiving their due. The banking world is surrounded in paperwork and contracts and the administration and management of these contracts, combined with the huge amount of documents that accompany these contracts, cost the banks millions in salaries and storage space. Many of the contracts could be moved into the smart contract space and large mounts of money saved. An example of this could be the mortgage contracts over properties. The smart contract would specifically state the terms of repayment, the actions when a client defaults and once the mortgage has been settled, the transfer of the property from the banks name to the new owners. Other applications that are being investigated in the banking environment are those of bonds, interbank clearings and settlements, coupon payments, and overdrafts and loans. If you’re looking for applicable areas for smart contracts banking is certainly an attractive option. Smart contracts are also being considered in area’s of government as well to see how they can be used to streamline voting, identify management and simple contracts between state and citizen such as rates and taxes. The list above is just a small indication of the possibilities and we have not even looked at the opportunities in Technology and Energy. This article explores the idea of smart contracts, looking specifically at Ethereum contracts and some of the many potential use cases. Ethereum contracts: what are they? A smart contract is quite simply a legal contract that is created in a digital environment using blockchain technology. Smart contracts can be used in place of all the standard legal contacts such as leases, shares, property sales or anything else required by contracting parties. The relationships and the requirements of the contract are enforced using crypto-code and the contracts self-execute in the exact manner that they have been set up to do by their creators. The advantage of using a self executing contract versus the traditional legal contract is the elimination of a middleman and the associated costs and delays. The decentralised nature of the Blockchain technology used for the creation of smart contracts also ensures higher security of the contract, which accounts for its rising popularity among banks and governments. Smart contracts are generally associated with the cryptocurrencies and although they started in the Bitcoin environment, Ethereum has fast become the platform of choice because of it’s unlimited processing capacity. The duplication of the smart contracts across the network also ensures that the contract cannot be lost or misplaced. In the traditional world, when you need a contract drawn up you would contact an attorney and discuss the terms and requirements with them and after a period of time, arrange with the other party to sign. The executions of the clauses are also dependent on the attention of the parties or attorneys to enforce. In the case of a digital contract, the process has been likened often to that of a vending machine, you put your cryptocurrency in, determine the terms and out comes your contract. The contract is created and becomes a part of the public ledger, while the parties remain anonymous. Once the triggering event takes place, which could be a date or a action by one of the parties, the contract becomes self-executing and the terms are enforced and the funds transferred. Looking at the cast array of smart contract applications gives you an idea of the kind of impact this technology could have. Smart contracts can be set up across multiple parties and the execution of the contract can be triggered when a certain percentage of the participants, or the majority, have approved the transaction. When it comes to ethereum smart contracts, banking looks set to be one of the most heavily impacted industries, with the potential to completely transform the way money is moved around the world. In 2015, Blockchain smart contracts were used by the depository Trust and Clearing company to process more than 345 million transactions worth more than $1.5 quadrillion. Suggestions have even been made for using Smart contracts to replace the current voting system, as it will be faster, safer and more efficient, possibly increasing voter numbers. The US Postal services has also been looking at using smart contracts for money transfers. Smart contracts are gaining popularity across many industries and are replacing the use of traditional contracts in many instances. A smart contract could be used for the delivery of a news article by a freelancer. The parties will agree on the cost of the article and the date on which it should be submitted. 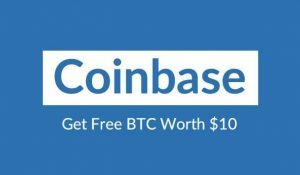 Once the editor has received the piece and is happy, the payment is triggered and the funds transferred via cryptocurrency to the freelancer. If the writer does not deliver, then the newspaper is refunded.